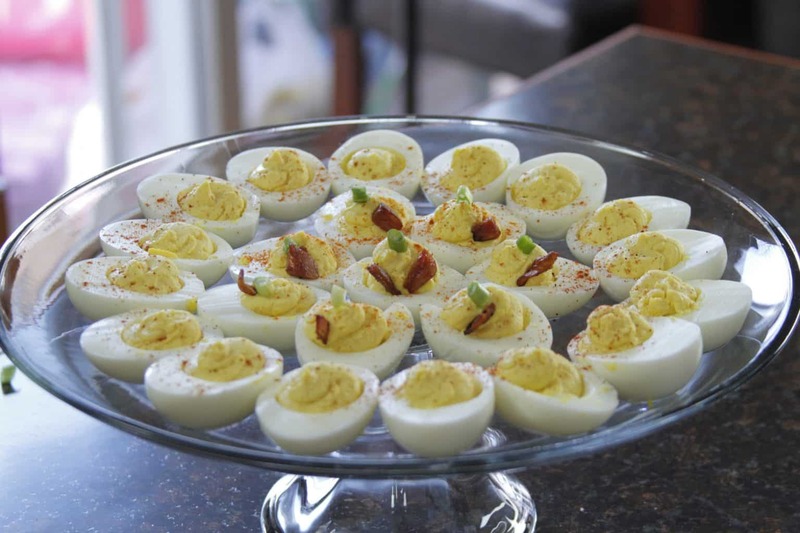 Nothing says it’s springtime and time for picnic like deviled eggs! They’re perfect to share and a traditional favorite! Try my special deviled eggs recipe, which includes a deconstructed relish. I’m not a huge fan of relish (don’t judge me) but I do like certain elements that it adds to traditional deviled eggs. So I remixed my own, which are always a hit at any BBQ or get together. Let me know what you think and don’t forget to watch my YouTube video where I show you how to make these delights! Garnish with your favorite toppings– I added honey bacon and chorizo. Yum!